Heidi Kromrei, Ph.D., has been named assistant dean of Learning and Teaching in the Office of Medical Education at the Wayne State University School of Medicine. Richard Baker, M.D., vice dean of Medical Education, announced her appointment Feb. 5. She will be an adjunct associate professor in the Department of Ophthalmology, Visual and Anatomical Sciences. Dr. Kromrei previously served as the associate designated institutional official, director of Medical Education for Osteopathic Programs, and assistant vice president for Academic Affairs at the Detroit Medical Center. 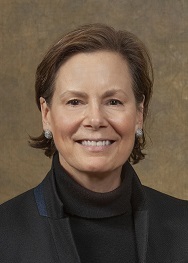 She, along with the DMC designated institutional officer, was responsible for monitoring and oversight of the accreditation and educational activities of the DMC's more than 100 residency and fellowship programs, as well as oversight of the Michigan State University College of Osteopathic Medicine Medical Student Education at the DMC. She received her doctoral degree in philosophy from Wayne State University. She holds a bachelor's degree in psychology from the University of Illinois at Chicago and a master of arts in Education degree from the University of Michigan-Dearborn. Dr. Kromrei is an adjunct faculty member at Oakland University and Michigan State University College of Osteopathic Medicine. Before entering the field of medical education, Dr. Kromrei worked 14 years in health and behavior research at the University of Illinois in Chicago, the University of Michigan and the Henry Ford Health System. Her research interests include performance measurement and management in organizational systems, leadership development in medical education, program evaluation and reducing evaluation biases.